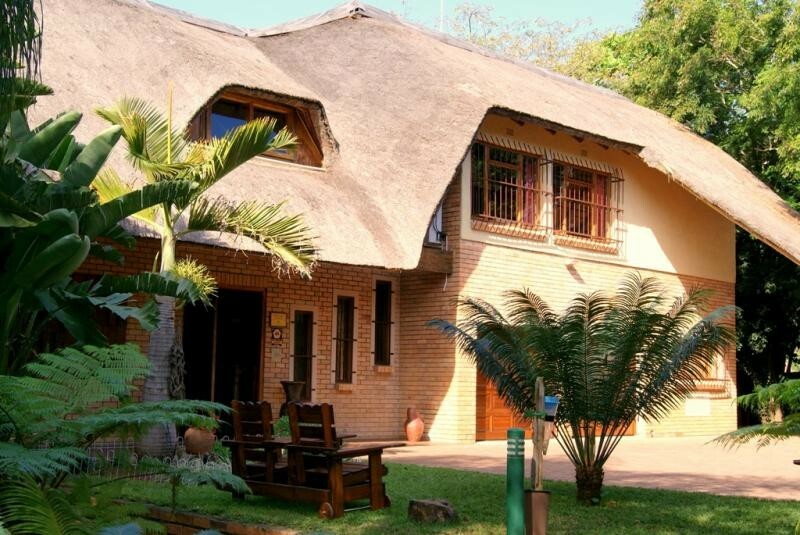 Guests looking for a convenient and comfortable Guesthouse in Hazyview will find the 4 star graded Dreamfields Guesthouse is a welcoming place to rest in between safaris and sightseeing. Situated in a quiet residential area of Hazyview, Dreamfields Guesthouse is just minutes from a good choice of restaurants, shopping and essential services. From here the internationally renowned Kruger National Park, with the nearest gate only 10km away, and all the attractions of the Panorama Route, like Gods Window and Pilgrims Rest, can be reached with ease. Other top Mpumalanga attractions and activities are nearby. 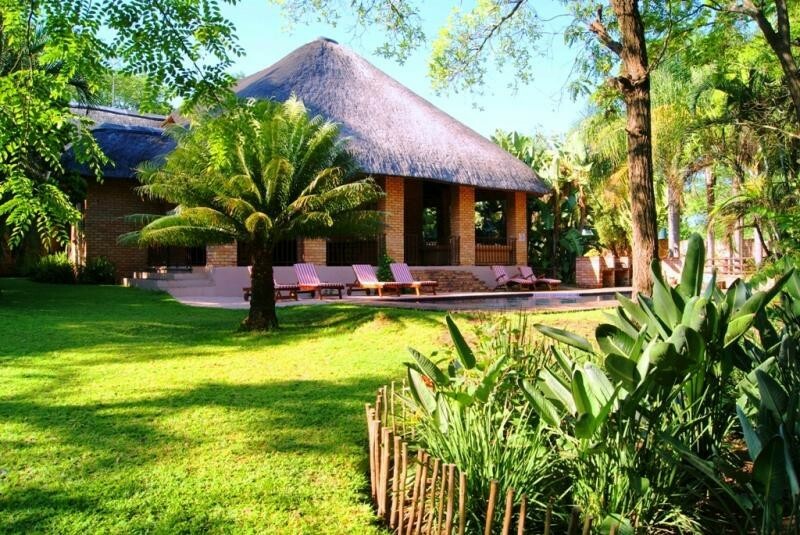 The large house with its thatched roof and African style furnishings fits in perfectly with the atmosphere of the region and offers a comfortable lounge and African theme bar. Guests can enjoy the indigenous garden and prolific birdlife while taking a refreshing swim in the large pool. 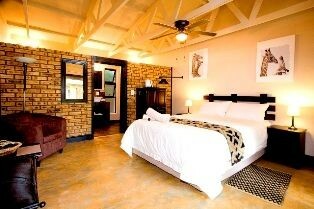 Dreamfields Guesthouse is run by a German/English couple Kristina and Neil Waitt. Due to Kristina`s long experience in the tourism industry, and Neil being a qualified field guide, they know exactly how to cater for the needs and expectations of their guest. Dreamfields Guesthouse offers five tastefully decorated guestrooms in an extra dwelling next to the main house each has its own outside entry & opens into the lush tropical garden. 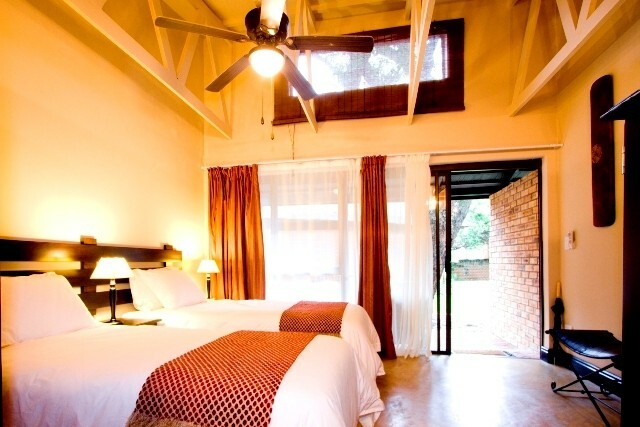 All rooms offer crisp fine linen, modern en-suite bathrooms, air conditioning, overhead fans, flat-screen TVs with DSTV, hairdryers, complimentary tea and coffee facilities and have their own furnished veranda. Breakfast offered is of the highest standard, consisting of scrumptious warm food prepared by your host, supplemented by a buffet of products from the local farm stalls. Breakfast is served in the dining room or on the patio, overlooking the pool and garden. For an early start a packed breakfast will be provided. Mpumalanga is a treasure trove of quaint towns, spectacular sightseeing and of course the magnificent Kruger National Park, with the nearest gate only 10 km away. You may wish to enjoy a Dawn, Full-Day, Afternoon or Night Safari with a qualified Field Guide or drive yourself. Neil being a qualified guide himself will help you to plan your trip.